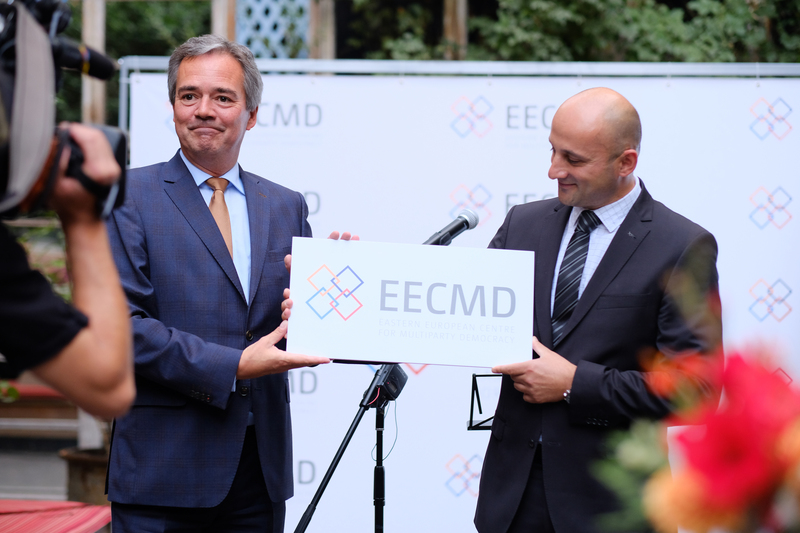 On 20 July 2017, the NIMD’s Eastern European Neighbourhood (EEN) office became an independent, locally owned and locally rooted NGO called the Eastern European Centre for Multiparty Democracy (EECMD). The transformation has its roots in an important guiding principle within NIMD: local ownership. Based on this principle, NIMD always works together with local partners to ensure its programmes reflect local demands. The transition of the NIMD EEN country office into the Eastern European Centre for Multiparty Democracy (EECMD) reflects a shared aim to strengthen and sustain locally rooted organizations to implement democratization programmes independently and with greater autonomy. Local identity and ownership will allow the new organization to diversify both its funding base and programmatic portfolio and become more flexible in responding to the needs in its field and the area of work. This represents a major achievement in our efforts to build strong local institutions that are able to assume greater ownership over political development and democratization efforts. To NIMD, this represents a mature state of democracy assistance and an important accomplishment of its work in the region. Of course, this achievement would not have been possible without the strong support of crucial donors such as the Embassy of the Netherlands in Georgia, the British Embassy, the Canadian Consulate and the OSCE. NIMD thanks them for their support to strengthen free, multiparty and democratic political systems in the region. To reflect the changing relationship and to express their continued commitment to pursuing their shared goals and joint programmes, NIMD and EEN reiterate their partnership through a written contract based on shared principles and agreements. NIMD will continue its work in this region, implementing its programmes through, and in close coordination with, EECMD.